If you are renewing your Affiliate membership, be sure to log in first. If you are starting a new Affiliate membership, click on the appropriate membership level below. Not the right membership level? 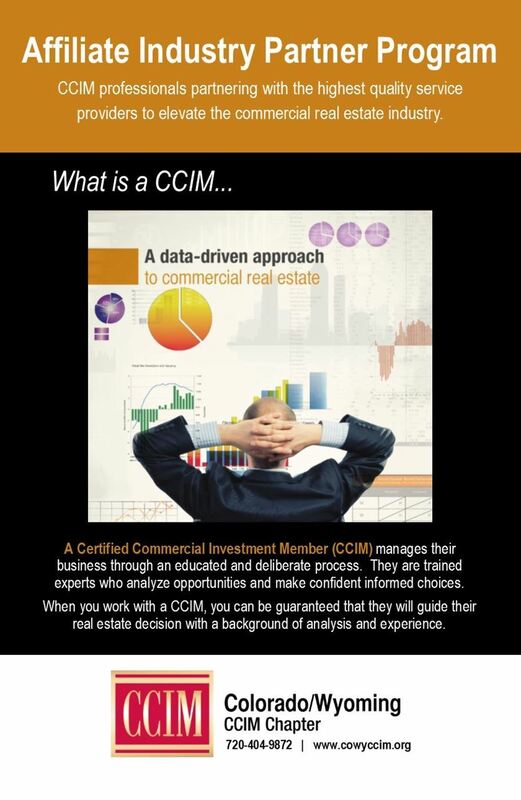 Try CCIM or CCIM Candidates, or Faculty and Students, or Affiliate - Real Estate Professional. AFFILIATE1 - Industry Partner $1,000.00 (USD), prorated to $750.00 (USD) Subscription period: 1 year, on: January 1st No automatically recurring payments Any organization that provides services to the real estate industry, such as, Title Insurance, Real Estate company, Data/Reporting, Legal Services, Construction, Maintenance, Environmental, Appraiser, Surveyor, Inspection Company, Banks/Lending, etc.